Two D.C. cyclists have died in the past two months after being struck by vehicles. Jeffrey Hammand Long was hit by a truck while in an M St. bike lane and Malik Habib was hit by a bus after his bike was caught in a streetcar rail on H St. 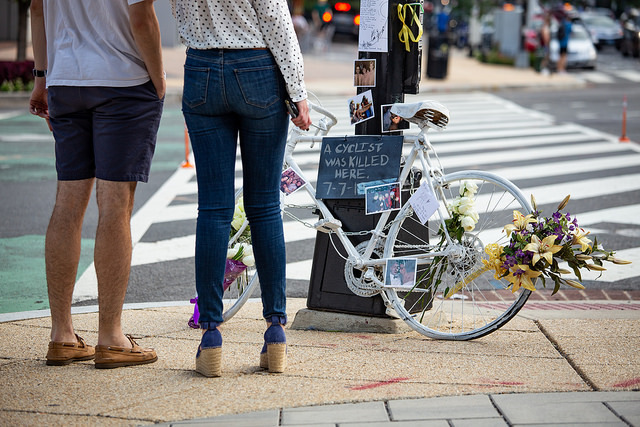 The two deaths ––which occurred two weeks apart from each other–– spurred area cyclists to call for greater safety measures in the District. The District’s Department of Transportation removed four parking spaces to improve visibility at the intersection where Long was struck. But city cyclists still wonder if that’s enough. Kojo catches up with D.C.’s Department of Transportation Director and a local cycling advocate.